The Town of Dartmouth originally built what would become Patron’s Hall, also known as Paskamansett Hall, as a 2-room schoolhouse in 1837 on a parcel of cemetery land sold to the town by the Second Christian Society. The building, a classic Greek Revival, served as a school until 1873 when it was purchased by James H. and Nancy A. Slocum. Town Landing - Town recreational and green area at the Slocums River entrance overlooking a beautiful tidal estuary with parking, playground equipment, tennis court and picnic tables. 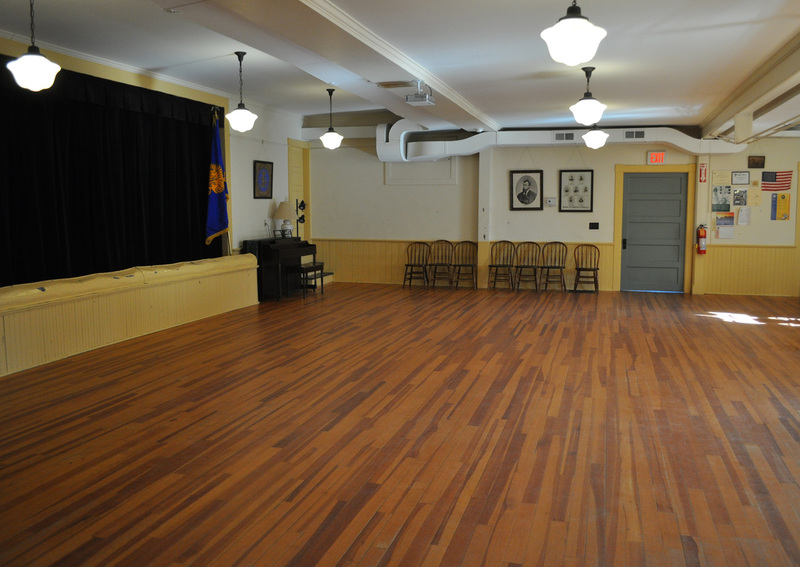 Mr. Slocum rented the hall out as a meeting place and warehouse until the fledgling Dartmouth Grange purchased it on August 2, 1892 for the sum of $200. 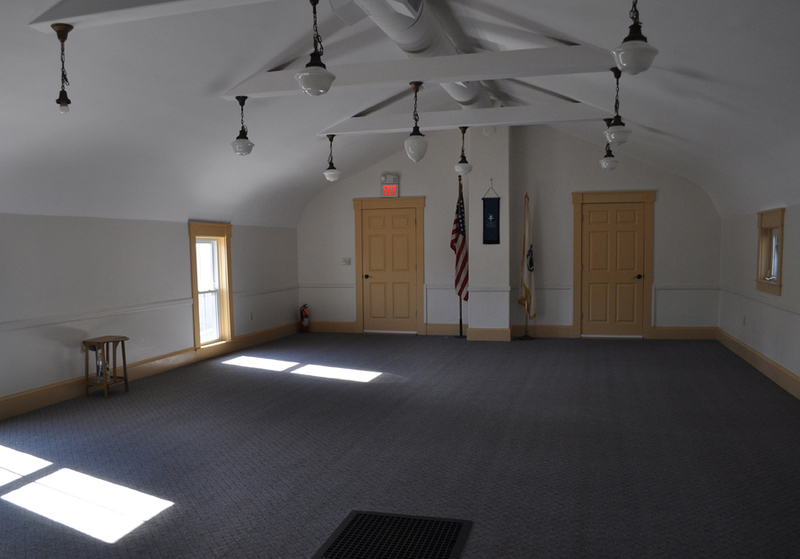 Dartmouth Grange began making upgrades to better serve its members and the community with the addition of a stage and kitchen in 1929. Essentially unchanged from 1929, the hall was the site of much of the social activity in Russells Mills Village. Recognized by The Waterfront Historic Area League (WHALE) in 2004 with the Sara Delano Award for its efforts in restoring and preserving Patrons Hall, the Dartmouth Grange remains the steward of this important cultural resource. dinner theater, recitals, plays, etc. Scheduled time is available on a first reserved, first served basis and is based on advanced reservations. Reservations may be made by contacting Nancy Manley, scheduling coordinator of Patron’s Hall, at (774) 264-0755, email cy1014@comcast.net. Hall Rental Reservation Form (PDF) Find our rental hall agreement to download below. Dartmouth Grange provides a suggested voluntary donation for the use of the hall; details may be found on the Reservation Form. To file a complaint of discrimination, write to USDA, Director, Office of Civil Rights, 1400 Independence Avenue, S.W., Washington, D.C. 20250-9410, or call (800) 795-3272 (voice) or (202) 720-6382 (TDD). USDA is an equal opportunity provider employer, and lender."